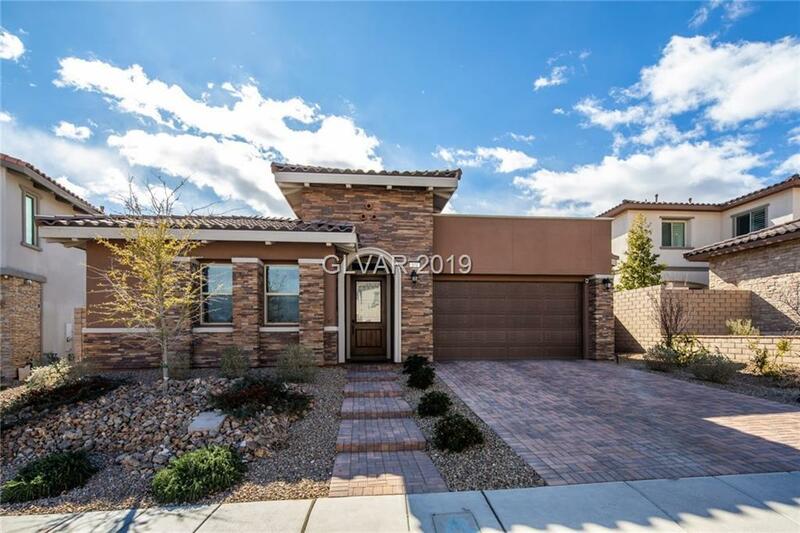 Contemporary home behind the gates of Savona in The Paseos, a Summerlin Village. Modern architecture features stacked stone accents. Open concept plan is elegant yet comfortable featuring over $150,000 in upgrades and fine finishes including wood tile, quartz, and sleek cabinetry. Sophisticated outdoor living highlighted by linear inground firepit, water feature, fire bowl, 15-foot marble bbq island, and a cozy interior courtyard with fireplace. Directions: West On Far Hills From 215. South On Desert Foothills. West On Antelope Ridge. East On San Genesio. South On Castellari Through Savona Gate.